F & S Electrical, LLC is always ready to help you with the following small or big commercial and residential projects. When the F & S Electrical service vehicle arrives at your home, it is fully stocked and ready for all your electrical service needs. 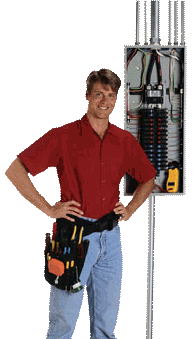 Your F & S Electrical service technician is trained and prepared to provide prompt, efficient and courteous service. Most of all our personnel have the ability and training also to give you immediate prices for any additional work that you may wish to add while we are on site. In today's new homes, systems are becoming more and more complex and integrated. It takes a tremendous level of knowledge, experience and commitment to ongoing education to stay on top of the always-changing world of low-voltage products and systems. F & S Electrical's impressive staff possesses the experience to provide continuous education and high-quality service to its partners in construction. Please call us with any concern that you might have or send us an e-mail to by completing the form in the “Contact Us” section.